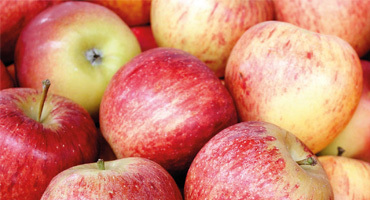 In response to the ban on R-22 refrigerant, Quercy Réfrigération offers R-1234ze as an innovative replacement for two industrial cold rooms used for storing apples in a controlled atmosphere. Specialising in industrial refrigeration and, more specifically, the food storage sector since it was founded in 2007, Quercy Réfrigération works very closely with its customers and is keen to offer them eco-friendly solutions for the future. For Benoît Duparc, the company’s director, this approach is of paramount importance when changes are being made to regulations on refrigerants. Many of his customers are producers and exporters of fruit and vegetables, and more recently include Planavergne, a family-run busi­ness based in Escazals in the Lot region of France. Founded in 1937 and focusing largely on apple production, this company yields 3,500 tonnes of the fruit from September to June every year and exports throughout the world. The apples are stored for between four and 12 months in cold rooms in a controlled atmos­phere: nitrogen is injected to lower the oxygen level and the CO2 content is regulated to pre­vent asphyxiation and to delay the ripening process. The storage facility has more than 12 cold rooms, most of which are cooled by units operating on R-404A refrigerant gas. However, two of these rooms were still relying on R-22 units, urging Mr Planavergne to issue an invitation to tender for replacements, in view of the ban on HCFCs in Europe. Various solutions considered with fierce competition. When negotiations started, the costing process was based on a unit with three direct expansion-type compressors and two cubic evaporators for supplying two 1,400 m3 cold rooms, each storing around 300 tonnes of apples at +1°C. Quercy Réfrigération studied the CO2 solution but found it unsuitable for fruit storage. Firstly, the evaporating temperatures would be quite high, varying from +4°C to +8°C and exceeding the operating range for currently available compressors. Secondly, the most intense operating period would be during the summer and autumn, when the CO2 output would be at its lowest and, finally, the investment cost would be very high. An initial costing was subsequently drawn up for R-134a versus R-407F, but Planavergne considered these solutions to be too temporary and inconsistent with their investment plan. The aim was to find a long-term solution to avoid the need for ‘repeated retrofits’. 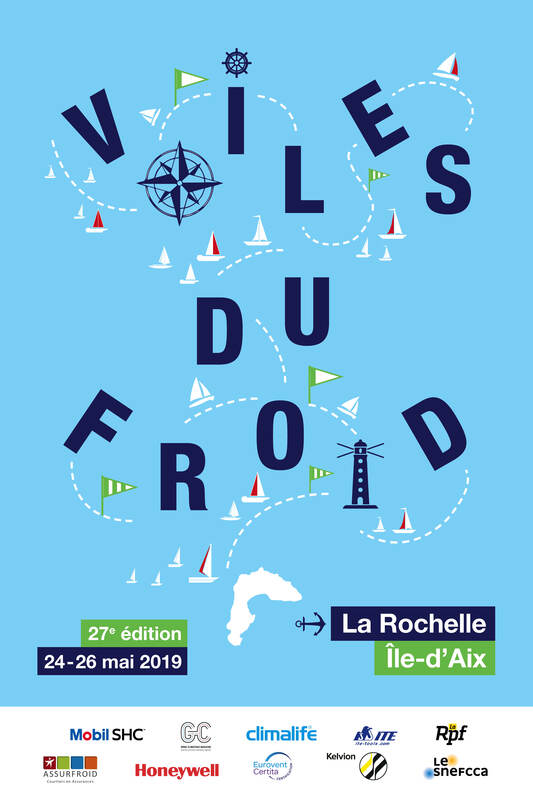 In response to this, Quercy Réfrigération found the innovative solution of using R-1234ze with a suitable control system. “Rivalling the choices offered by our competitors, we proved to our customer that this solution would also save energy, by incorporating our own specially designed and patented hygrometry control system for fruit storage rooms. 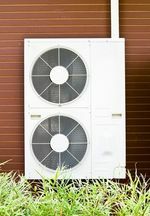 So changing the refrigerant wouldn’t be the only way to reduce electricity consumption,” said the installation engineer. Planavergne was immediately convinced. With a GWP of less than 1, this pure HFO molecule provides a long-term eco-friendly alternative. Solstice® ze, which is not subject to F-Gas regulations or the annual declaration applicable to traditional refrigerants, reduces direct CO2 emissions by 99.6% and helps equipment comply with directives on eco-design. With an ASHRAE A2L classification, this refrigerant is mildly flammable but can be handled as easily as traditional fluids. According to Duparc, however, this particular benefit had no influence over the choice of solution. Work began last June, once a new, Pecomark stainless steel unit with a frame had been selected. The unit has three Bitzer semi-hermetic compressors and a speed regulator, which is connected to one of the compressors and to the condenser fans. The two evaporators, manufactured according to very precise specifications and incorporating the control system developed by Quercy Réfrigération, are supplied with Carel’s electronic stepping regulators for R-1234ze refrigerant. The unit went into operation without any setbacks after more than 200 kg of R-1234ze had been loaded into the facility. As the piping was made of stainless steel, this would minimise any leaks over the long term. “When we commissioned the unit, it was just like loading any other refrigerant into a direct expansion-type system. There was really no difference, apart from the fact that the operating pressures were very low, but it was also quite pleasant to work under those conditions,” said Benoît Duparc. Current measurements were taken on startup, and were compared with values from the other three units operating on R-404A in the machine room. “The results spoke for themselves, as it was clear that a lot less energy was being consumed. We can certainly recommend R-1234ze refrigerant as a future solution for above-zero refrigeration. It meets the needs of our customers in this sector, but only requires a small investment,” concluded the installation engineer.